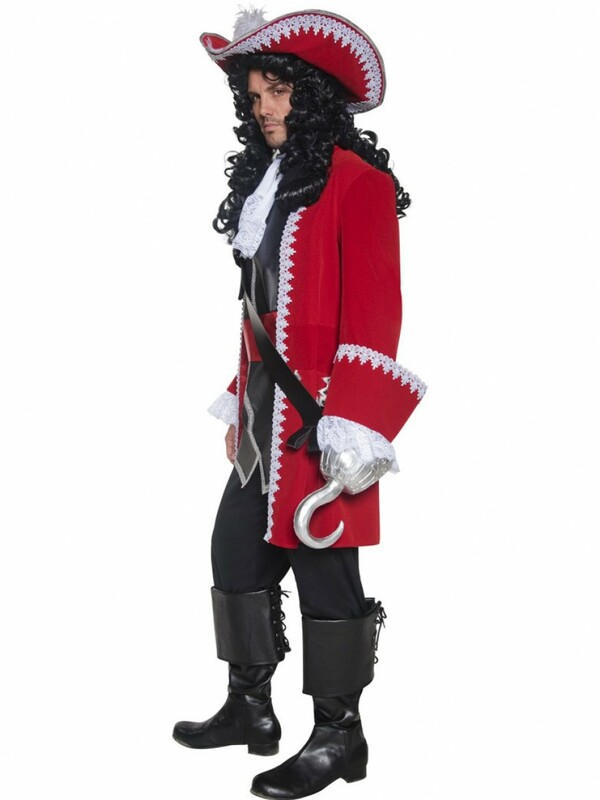 Transform into a menacing Captain of the seas with this deluxe Pirate Costume with Jacket, Trousers, Top with Belt & Cravat. 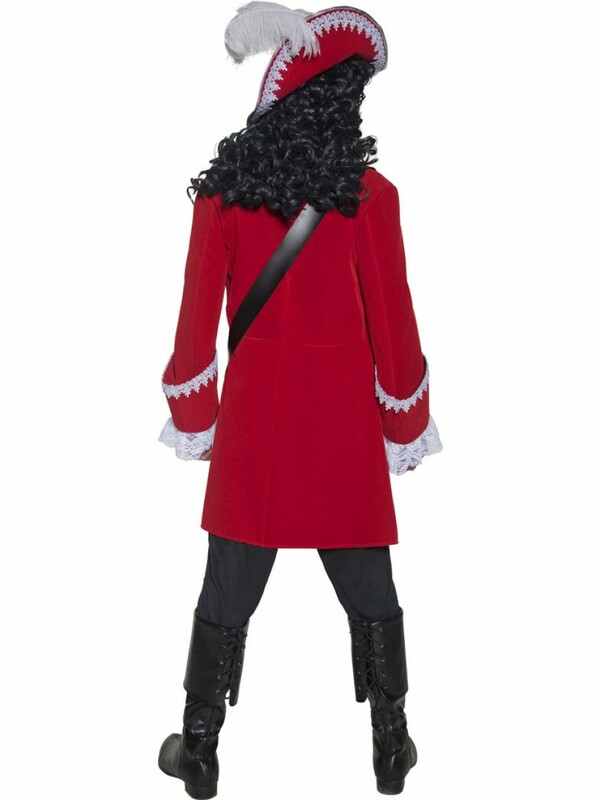 A fantastic Captain HookPirate Costume which includes a jacket, trousers, top with an attached belt and cravat. The bright red jacket has a detailed white lace design, mock pockets and is long length. The black top has a tunic look with silver trim and an attached red belt. The black trousers have an elasticated waist for comfort. To complete the look a white lace cravat is included. A stand out Pirate Outfit with a detailed design and vibrant colour - sure to turn heads! 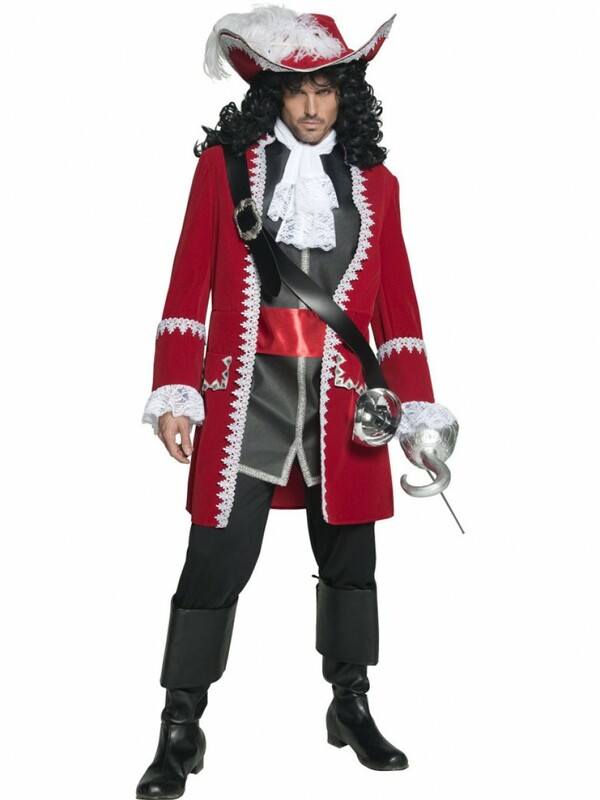 Captain Hook Pirate Costume with Jacket, Trousers, Top with Attached Belt and Cravat.